Everything we need in the Christian life is in Christ. 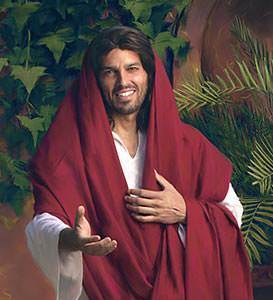 This wonderful Person, Jesus Christ, lives in the heart of every believer, but not every believer understands who Christ really is. 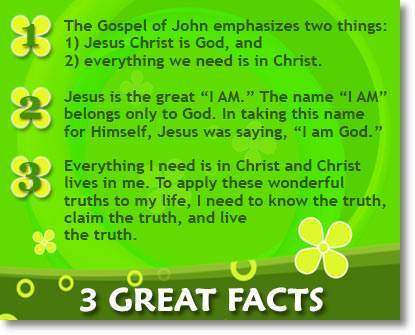 The Gospel of John was written that we might know who Jesus Christ really is. This book of the Bible emphasizes two great truths: 1) that Jesus Christ is God, and 2) that Christ Himself is the One who meets all our needs. 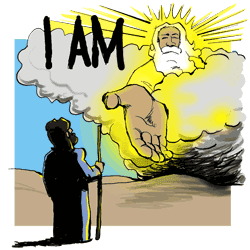 The name “I AM” is a name which belongs exclusively to God. God Himself said that this was His name. To understand the meaning of this name, we must go back to the time when the children of Israel were slaves in Egypt. 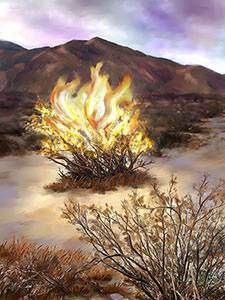 Moses was in the wilderness tending sheep when God appeared to him in a burning bush. The bush burned with fire, but it did not burn up. God said, “I AM THAT I AM…thus shall you say to the children of Israel, I AM has sent me to you” (Exodus 3:14). 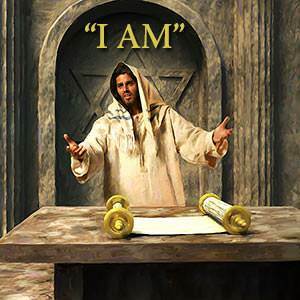 The name “I AM” is a very special name which belongs only to God. That He is indeed God. That He is the One who meets all our needs. “I and My Father are one,” and “He that has seen Me has seen the Father…” (John 10:30; 14:9). When Jesus Christ came into this world as a man, He laid aside His glory and privileges as God. But when He went back to Heaven, He resumed all His glory and privileges as God. He is now the glorified Man at the right hand of the Father, with all power in Heaven and in the earth. Jesus Christ is the One who meets all my needs. How does God meet all my spiritual needs? He meets all my spiritual needs by giving Christ to me, to live in me. Everything comes to us from God, but it comes through Christ. We need to see that we have everything in Christ, who is now seated at the right hand of God. In giving us Christ, God has given us everything we will ever need. Christ is my power. The Bible says that Christ is “the power of God, and the wisdom of God” (1 Corinthians 1:24). 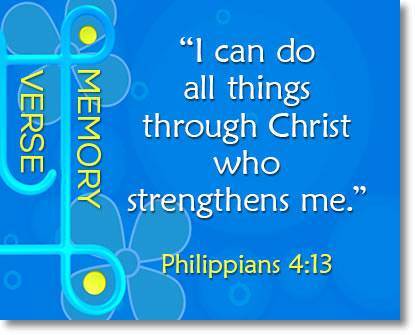 I am able to say with the apostle Paul, “I can do all things through Christ who strengthens me” (Philippians 4:13). Christ is my wisdom.He is “the wisdom of God.” When I need wisdom, I should turn to Him. He knows exactly what I should do and He lives in me. Christ is my love. Love is a Person—Jesus Christ! Christ is the One who loves all people. He lives in me now and He is my love. “Peace I leave with you, My peace I give unto you…” (John 14:27). Christ is my joy. The Bible says, “Rejoice in the Lord always; and again I say, Rejoice.” We may not always be able to rejoice in our circumstances, but we can always rejoice in the Lord—in Christ. We can rejoice in who He is and what He has done for us. “Strengthened with all might, according to His [Christ’s] glorious power, unto all patience and longsuffering with joyfulness” (Colossians 1:11). Christ is my satisfaction. Christ said, “I am the living bread which came down from heaven.” Bread represents that which satisfies us. Christ is our “living bread”—the One who perfectly satisfies us. Everything is in Christ, and Christ is in me. The answer is: I get them by the Holy Spirit. 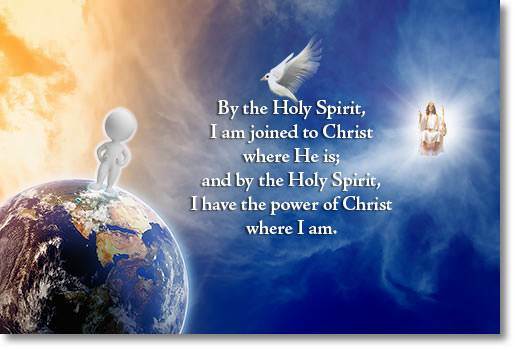 The Holy Spirit is “the Spirit of Christ.” The very same Spirit that is in Christ Himself is in me! “I have been crucified with Christ: nevertheless I live; yet not I, but Christ lives in me: and the life which I now live in the flesh I live by the faith of the Son of God, who loved me, and gave Himself for me” (Galatians 2:20). “For in Him dwells all the fulness of the Godhead bodily. 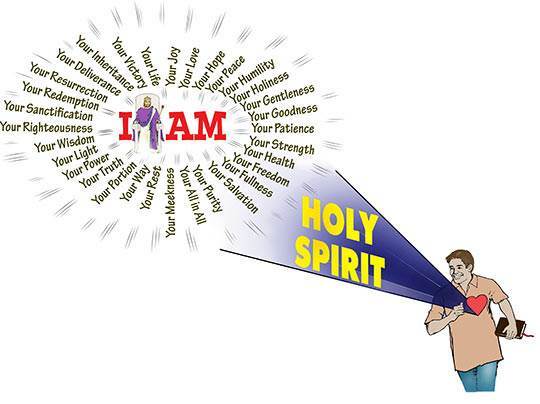 And you are complete in Him…” (Colossians 2:9-10). Christ living in me means that I have the privilege of living moment by moment in a warm, personal relationship with the Lord Jesus Christ Himself. He is my Friend, and He is seated at the right hand of God. I am not concerned about what others may think of me. Christ loves me, and I love Him. Knowing Him is better than anything this world has to offer. The wonderful thing about having Christ living in us by His Spirit is that every believer can have Christ all to himself! The most important relationship in your life is your relationship with Jesus Christ. To enjoy daily fellowship with Him, you must spend time with Him, reading and meditating on His Word and talking to Him in prayer. How much do you love Him? 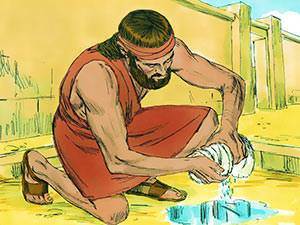 Once they had conquered the land of Canaan, the children of Israel failed to honor God. They would turn away from Him and fall into sin. God would judge them by allowing an enemy nation to come in and oppress them. 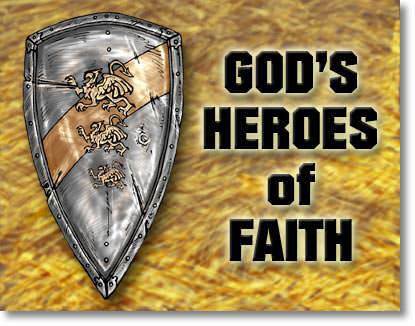 They would repent and cry out to God, and God would raise up a deliverer who would defeat the enemy. “The children of Israel did evil in the sight of the Lord: and the Lord delivered them into the hand of Midian seven years” (Judges 6:1). 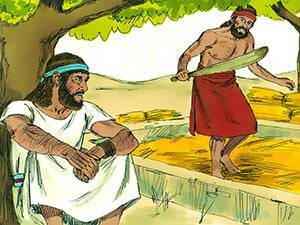 The Midianites were desert bandits who came from the Arabian desert to raid the farms of Israel. Untold thousands of bandits would come out of the desert, steal their food and their animals, destroy the land, and then run back into the desert. This went on for seven years! 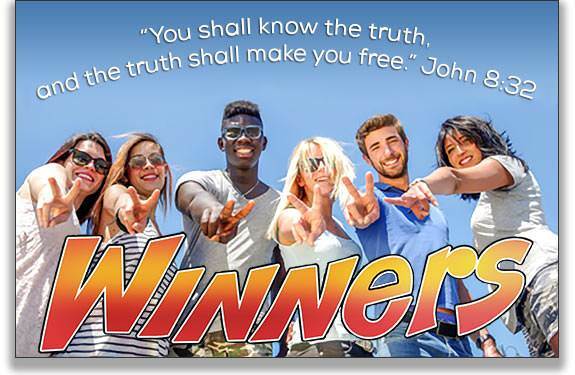 Finally, the people repented of their sins and pleaded with God to send them a deliverer. The angel of the Lord [Christ in the form of a man] appeared to Gideon and said, “The Lord is with you, mighty man of valor!” Gideon must have been shocked. He was timid and fearful, and he certainly did not see himself as a mighty warrior. Gideon said, “Oh my Lord, how shall I save Israel? My family is poor in Manassah, and I am the least in my Father’s house.” The Lord answered, “Surely I will be with you, and you shall smite the Midianites as one man” (Judges 6:16). In the morning, the ground was dry around the fleece, but the fleece was so wet that Gideon wrung a full bowl of water out of it. Gideon asked God for one more sign. He would put the fleece out as before, but this time let the fleece be dry in the morning and the ground around it wet. In the morning it was so. Gideon was satisfied. He now knew that the Lord was with him.